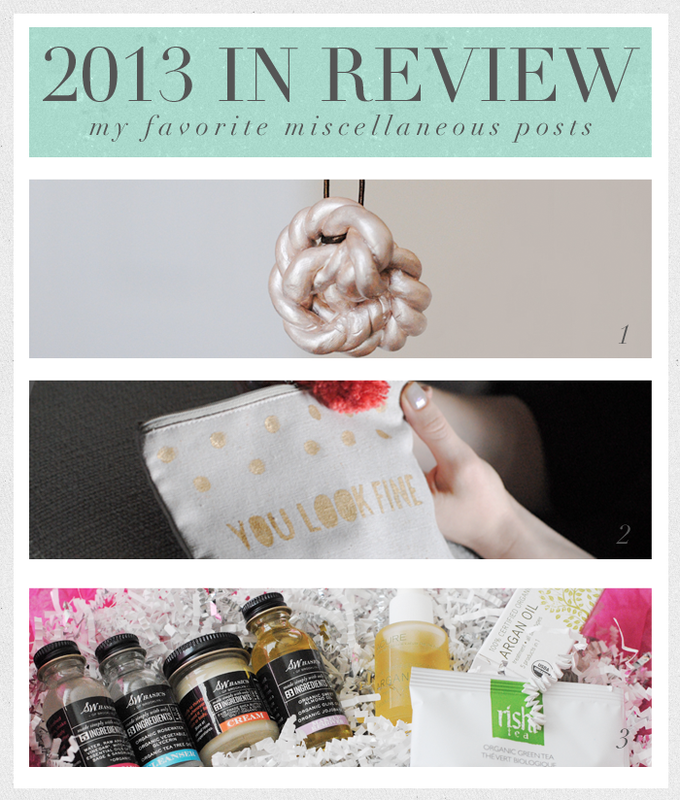 2013 in Review: Miscellaneous Posts! To finally wrap up my "2013 in Review" series, I compiled three of my favorite posts that couldn't really fall into any category. In the latter part of 2013, I introduced my new DIY contributor, Lauren, and we both collaborated on two DIY posts that I am extremely proud of. I also recently reviewed a new favorite online store of mine, and with these three posts, I am officially done rehashing the past. Onwards and upwards for 2014! Tomorrow I will be introducing something new and exciting for Brikasia, so stay tuned for that!